The island of Oostenburg is transforming into a sturdy and attractive residential area, rich in contrast and with attention to the development of an inclusive city. 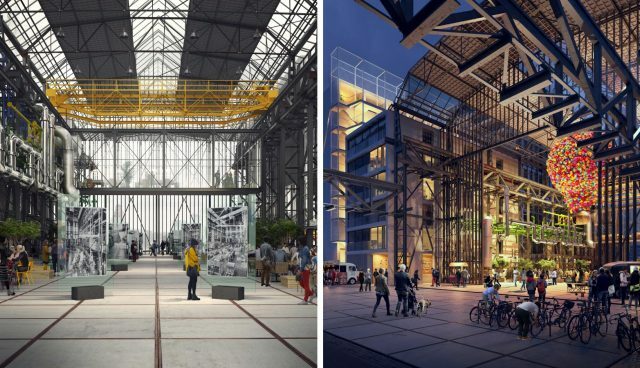 The eye-catcher of the design is the robust industrial Werkspoorhal where commercial activities, employment and casual encounters can take place. 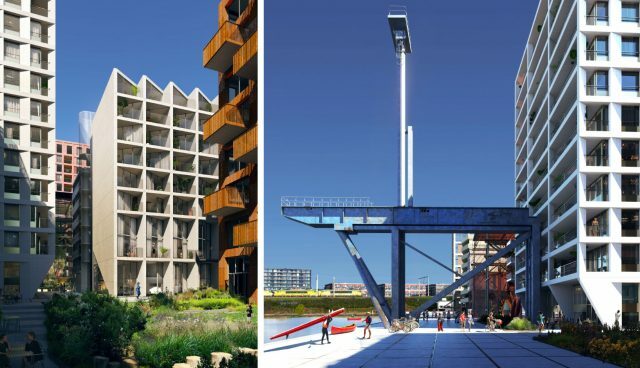 Within a dynamic team, OZ works together with VORM Ontwikkeling, Workshop Architects, BETA Architects, Space Encounters, LOLA Landscape Architecture, Buro Bouwfysica and 3D Studio Prins in shaping plot 3 of Oostenburg. Oostenburg has always remained an area of commerce and trade activity since the seventeenth century. 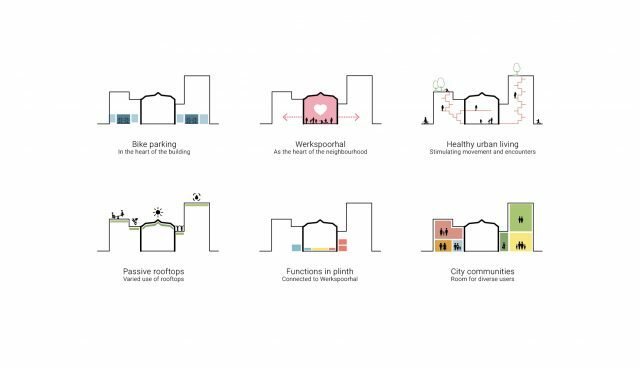 In recent years, a study has been conducted into the possibilities of transformation to a mixed residential work area. VORM has implemented this by the concept ‘blurring zones’, where working, living or commuting takes place with a spatial relation to the surroundings of Oostenburg. 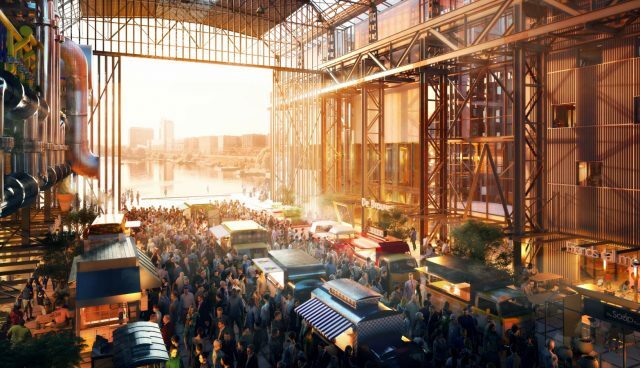 The industrial yard ambiance will stay part of the design by translating its meaning into the location. Application of sustainable materials, restoring installations and building methods as well as reuse of building materials are a natural part of the transformation assignment. The blurring zones of Oostenburg Plot 4/5 will be extended in plot 3, merging the two into one neighbourhood; where public spaces stimulate encounters, interconnection and access between residents, visitors and temporary users. Therefore, the design of plot 3 encourages an inclusive neighborhood atmosphere of Oostenburg. 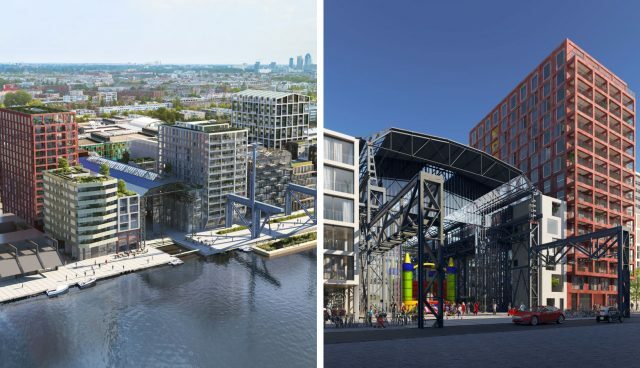 The transformation of the location combined with the Werkspoorhal as public space will strengthen the concept of blurring zones. 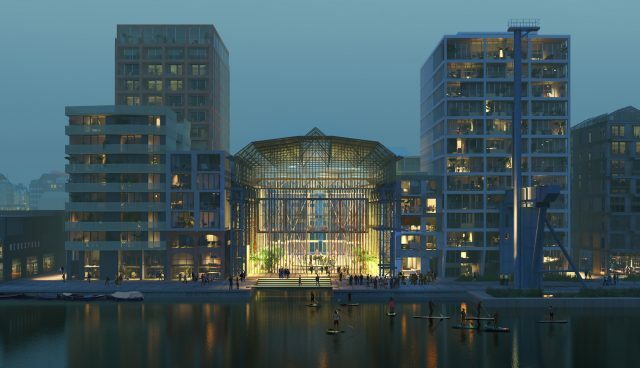 The former Werkspoorhal is the beating heart of the neighborhood. This hall has been designated as a monument and will serve as an open market place for commercial purposes as well as neighborhood initiatives the coming years. By maintaining the steel structure and making it more visible, the industrial character of the hall is retained and becomes accessible for public use. 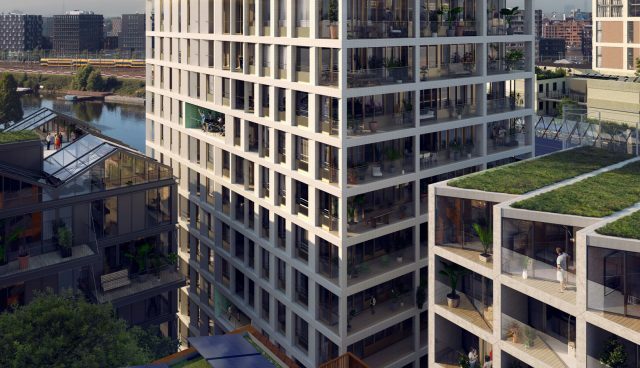 The flexible programming in the plinths of the Werkspoorhal, the overall architecture combined with the design of public zones in Plot 3 will attract diverse future residents, visitors and users. Oostenburg Plot 3 is a joint development assignment with the Oostenburg Plot 4/5 project. For more information go to the project website or click here to watch a video about the developments taking place at Oostenburg.